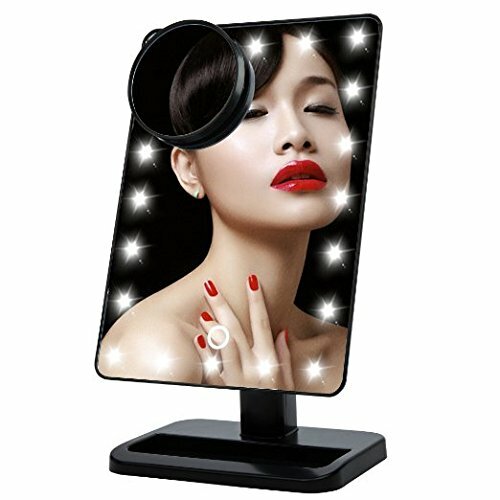 * All in one: can be used as makeup mirror, Led table lamp, storage container, etc. * Lightweight and portable: you can take it everywhere to your bathroom, bedroom or hotel. 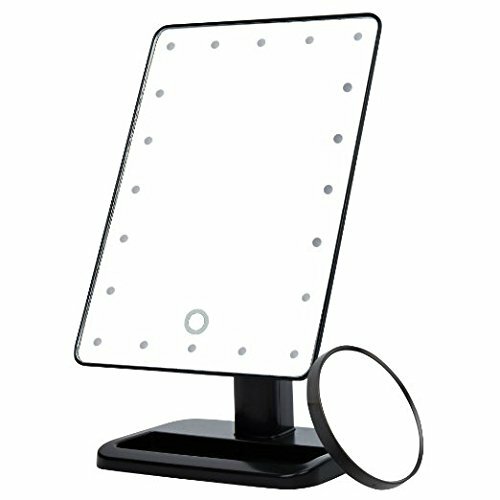 It can be good lamp for makeup. * Powered by 4pcs of AA batteries (NOT included). 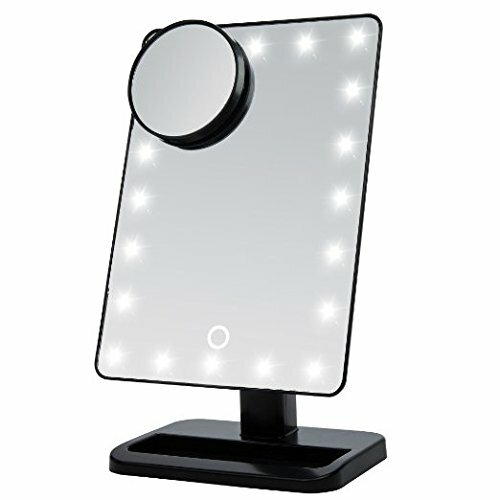 * Small and portable: just small enough to fit in any suitcase; best as makeup table lamp. * Touch-sensitive: Open the switch button on the back first, then touch the round button to power on/off, long press it to adjust light brightness. 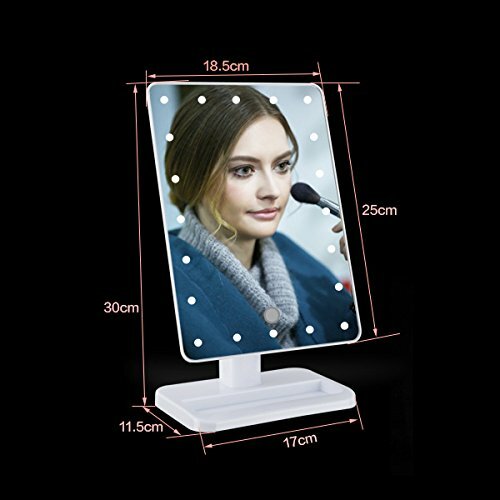 * With rotating stand: You can rotate the mirror at 180 degrees and fix it at any angle you like so you can see yourself at the most suitable light. * Elegant and delicate: the very best gift for girls. It is normal if you see the crack part on the holder. 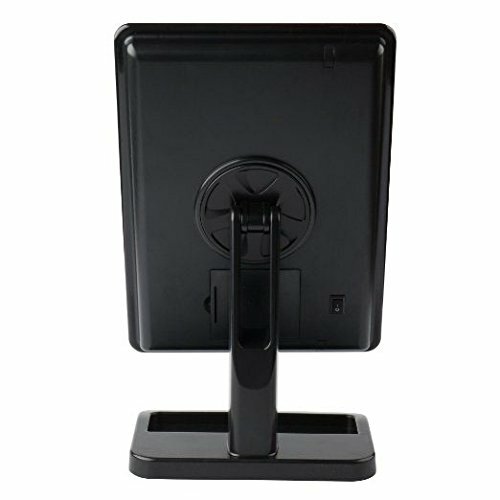 It’s designed this way so that the holder can be easily embedded into the base. 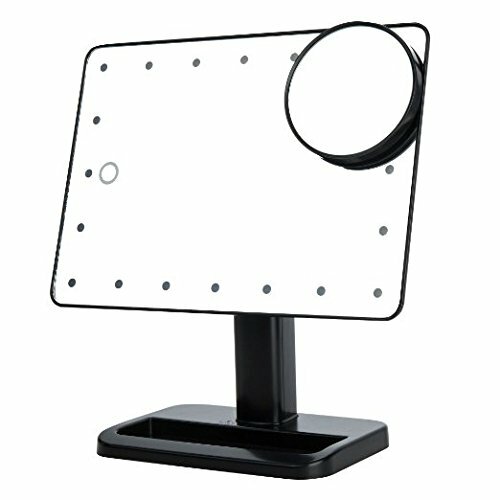 1* MagnifierMulti-functional: can be used as make up mirror, desk lamp, reading lamp, laptop lamp, keyboard lamp, etc. Fashion with rotating stand: it looks modern and elegant. It’s lightweight and portable. You can rotate the mirror at 180 degrees and fix it at any angle you like. Dimmable: stepless lighting adjustment, can adjust light brightness just like adjusting the screen brightness of your phone. 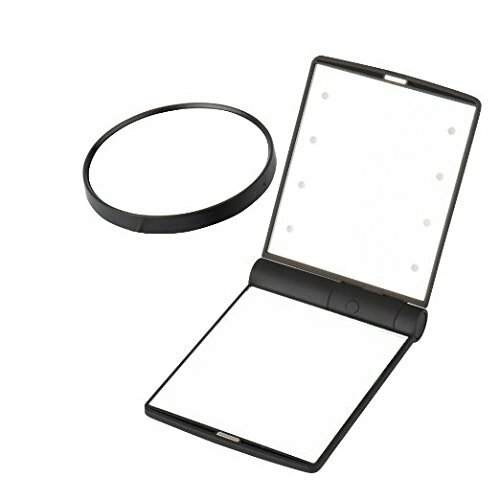 Space-saving: it comes with an anti-slip base so you can store the small gadgets such as lipstick, perfume, etc.